Our Gharieni range of beds have been designed with practicality and comfort in mind from the basic MLS and Ayurveda beds to the ultra-luxurious MLW Amphibia. The unique integrated coloured lighting treatment on the MLW Amphibia connected with exceptional comfort makes for a first class water treatment bed. 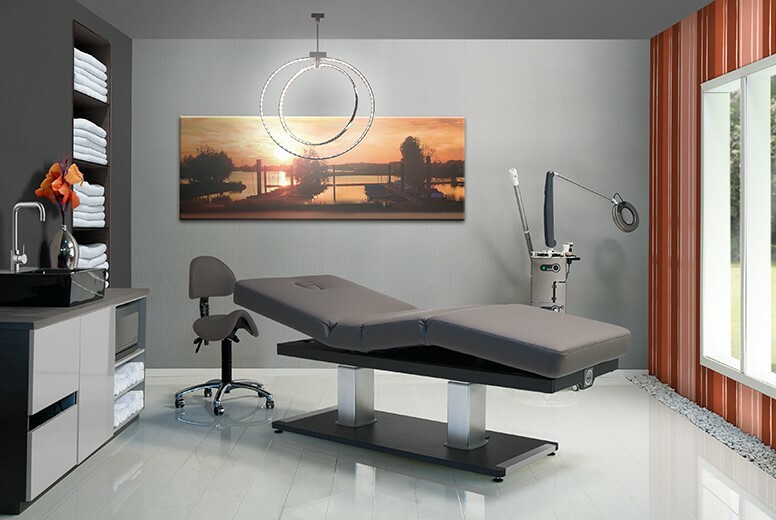 Whether individual elements from the field of wellness equipment or holistic wellness concepts, in this section we present the results of our own production as well as complementary and useful equipment. 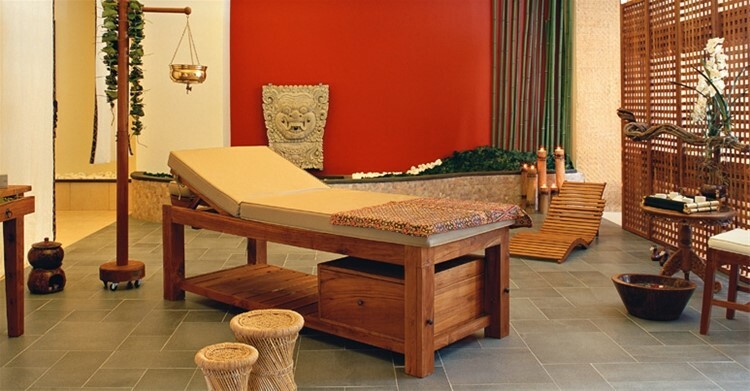 Here you will find everything that is connected with relaxation and well-being and reconciles body and spirit. Italian specialised massage beds from NILO who is dedicated to developing and manufacturing furnishing systems, equipment and accessories for professionals operating in the beauty, style and personal wellness sectors worldwide, always using the most advanced technologies and perfectly in-line with the latest design trends. 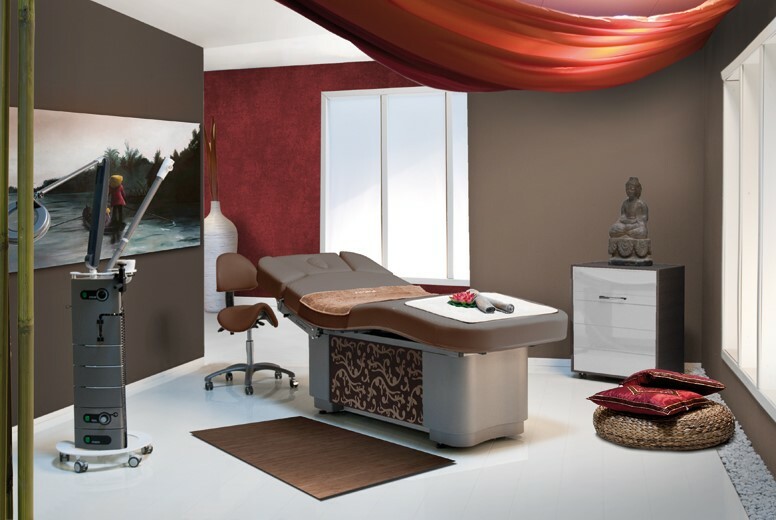 Nilo’s daily objective is to provide SPA, wellness centre, beauty salon and hotel owners with the opportunity to create prestigious and innovative images for their locales, offering the best possible working conditions and maximizing revenues, while at the same time ensuring unrivalled customer comfort. 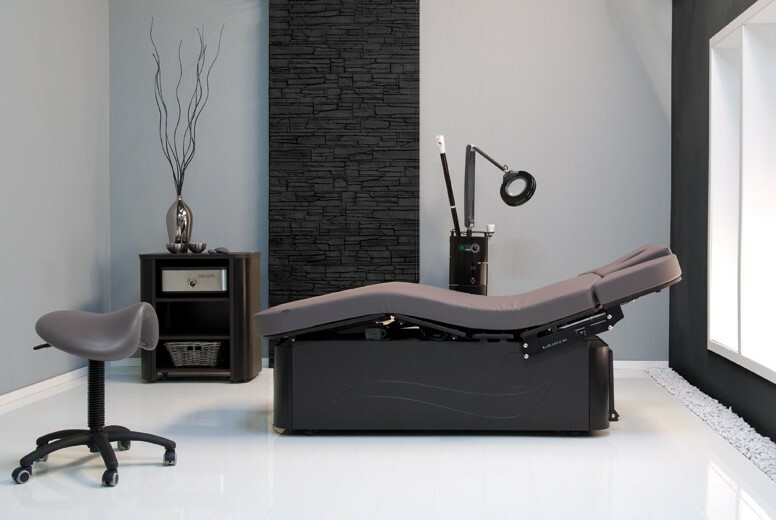 A multi-function treatment bed with 2 articulations and an electric height adjustment mechanism. A treatment bed from the Prestige Collection that comes with a convenient face hole, a wooden base, and soft memory foam padding. Multi-function massage bed featuring a comfortable headrest and arm support, complete with memory foam padding and anti-bacterial polyurethane upholstering. 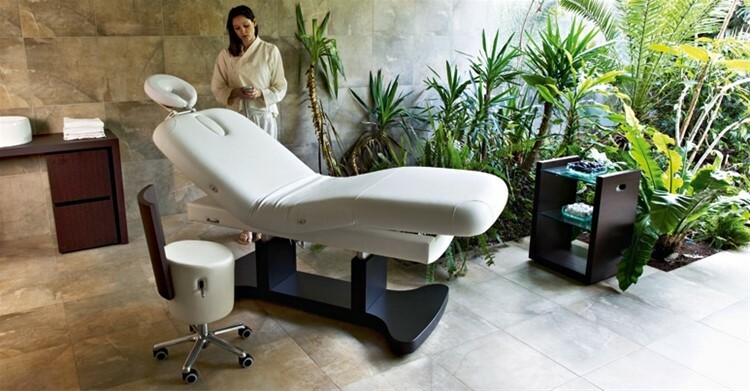 Multifunction treatment and massage bed. Curved wooden structure, electrically adjustable height and backrest, enclosed lower accessory compartment with drawer. 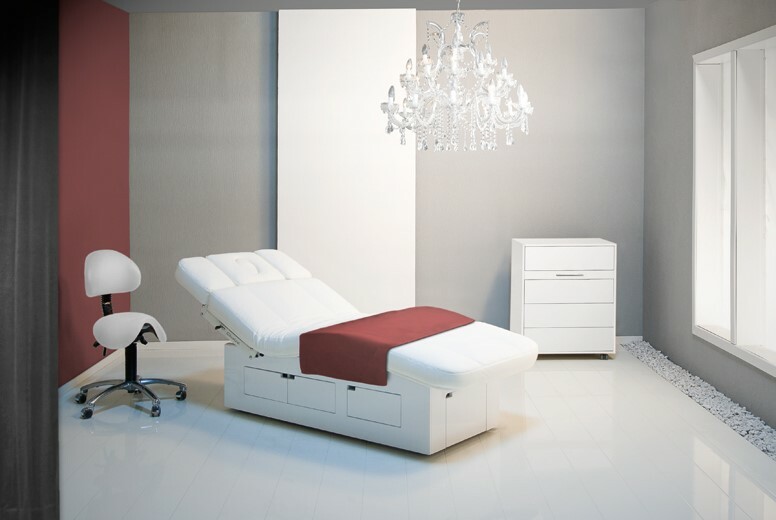 Electric treatment bed complete with memory foam mattress, collapsible armrests and lower cabinet doors included. 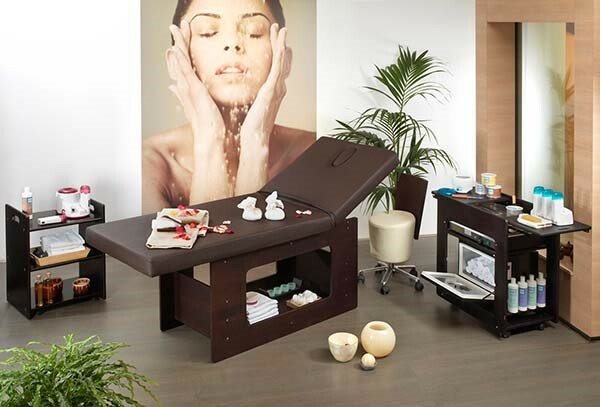 We introduce Italian Top Class massage bed for over 20 years, Vismara have been producing elements paying attention to people’s desires. We look for beauty and functionality in all our creations so that they can survive of overtime. 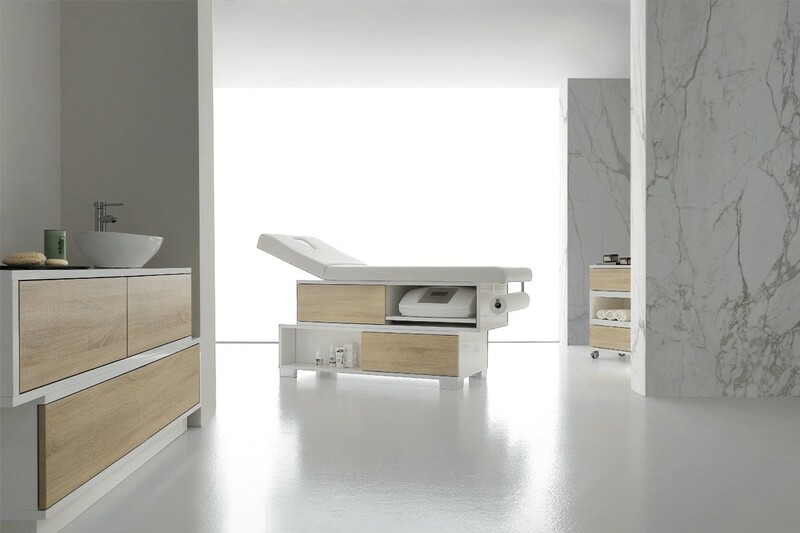 Massage bed made of glossy white melamine-faced board available in 3 different finishes (Bardolino oak, white larch, natural wenge). Swing bed is equipped with two drawers, pullout shelf for beauty equipment, two expositive compartments for products, big compartment for equipment, rolls, electric blanket, etc. shaped mattress and facial opening with cap covered by white skai. Adjustable backrest and roll holder. Made of multilayer birch wood with finish bleached maple, light walnut or wenge. Shaped mattress, facial opening with cap covered by whie skai. Adjustable backrest, roll holder and shelf for tools. 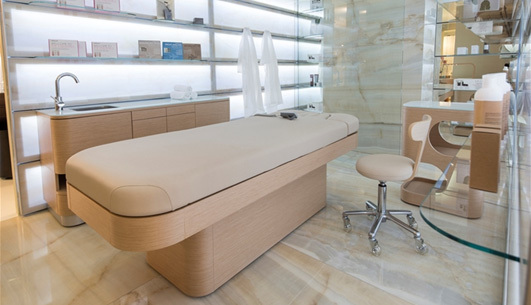 Massage bed made of multilayer birch wood with finish bleached maple or wenge. Shaped mattress, facial opeing with cap covered by white skai. Adjustable backrest and leg rest, roll holder included.